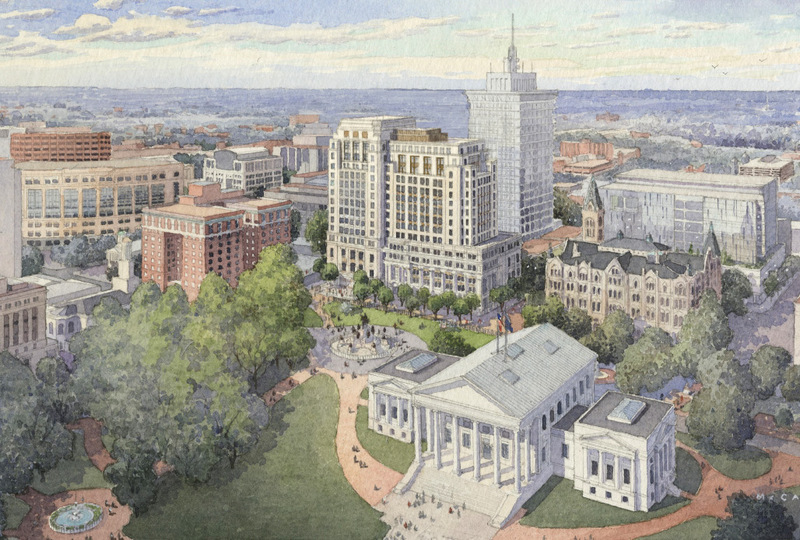 Discussion of current and recent development projects in Metropolitan Richmond, Virginia. For projects that are currently under construction in the City of Richmond. Includes sub-forum for suburban projects. Has anyone heard any news about the design being finalized? End of the year? I had heard by the end of the year. The site will remain dormant for a little while longer...at the very least. It looks like things are finally picking up steam as it relates to site preparation. Yeah, I’ve been tracking the progress on the webcam as well. Seems like they are getting rid of more debris from demolition and they are digging deeper to lay the foundation for the start of construction. The only thing is, I haven’t heard if the final design was approved or not. I thought that was supposed to happen by this past December, but crickets. I hope the approval occurs soon. I’m ready to see another tower crane in the skyline. This one should be very visible looking North from the south side of downtown.